Large print/legible. I use for my business info on my catalogs and products. Friend Beryl told me doesn't have to write name/address on fair or other contests ... She just stick on her address sticker & adds phone #!! These labels took a while to get to me, but they were worth the wait. 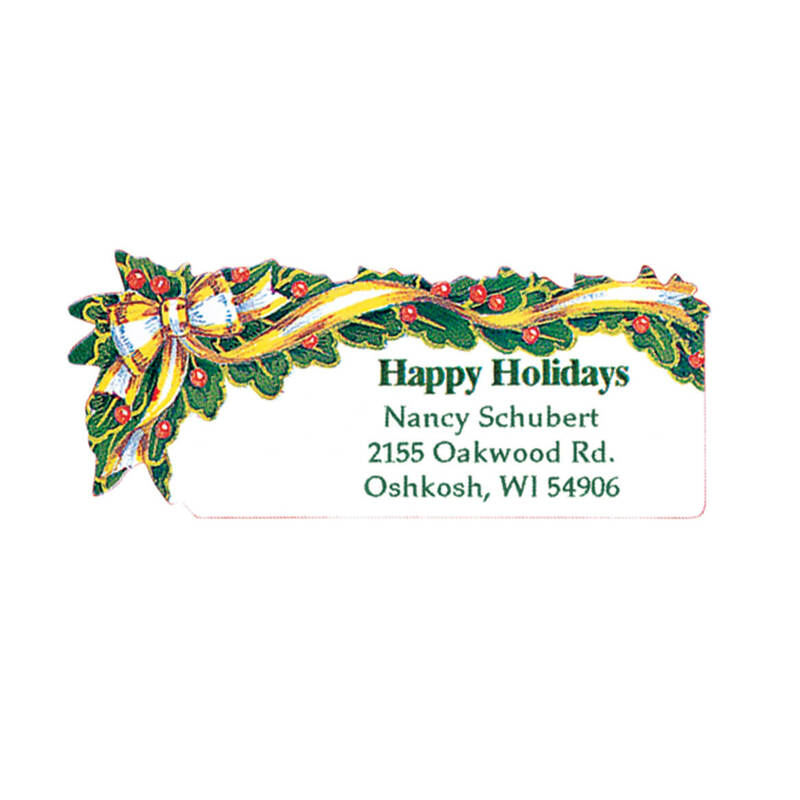 The print is large, dark, and clear -- an excellent all-purpose return address label, especially for large mailings, since they're so neutral in style and so economical. I'm using this first set to send out change of address notices, but I expect to be ordering more in the future for other purposes as well. The labels were purchased for my mother. The large print is perfect for her, self-stick makes them better and a roll of 500 will last her quite a while. The labels are a big hit with both my mother and me. I will buy these labels again for sure. These address labels are very well done. The printing is clear, Its large enough to see clearly. As an added not the packaging is well done. I am able to string out what I need and not have a whole bunch of labels laying around at the same time. Good quality labels. Fast delivery! I just wanted return address labels. This appears to fulfill my requirement. Out of labels. Wanted to order from a Wisconsin company. Liked the larger print. White background as sometimes ink is lighter than dark black. thank you. I really wanted a sans serif, plain-non italics font but I could not find it on your web site so I settled for whatever font I could get. You get many for the price. I chose these labels because of the price, and the fact that you can put 25 characters in the name field, which is more than the standard 18 characters. I've always been pleased with Miles K.'s address labels. I like the larger print on these - my hubby and I are both seniors. We have used them before and the price is better than other companies. I picked them for the large print. Will use mostly for raffle tickets at events and fairs. The price is good. 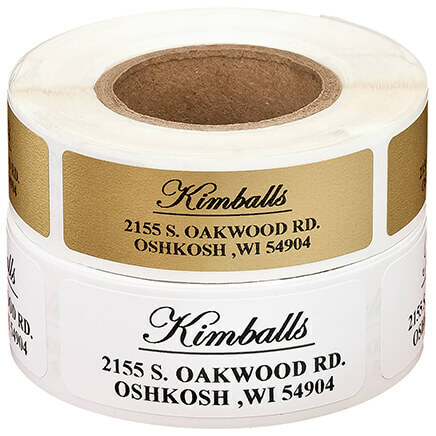 I've always used Miles Kimball's address labels and I am close to running out, so it was time to order more. 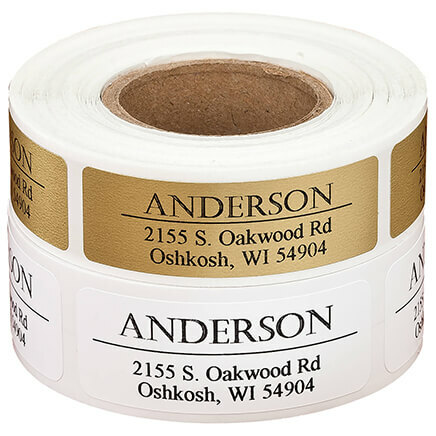 Nice labels and have used them before. 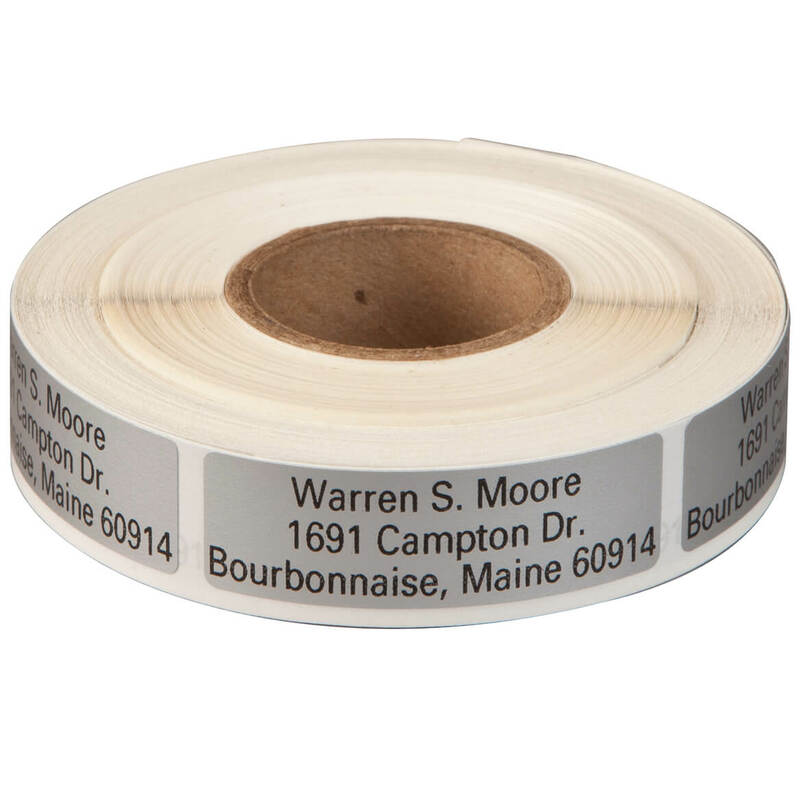 Just ran out of labels so I order more. 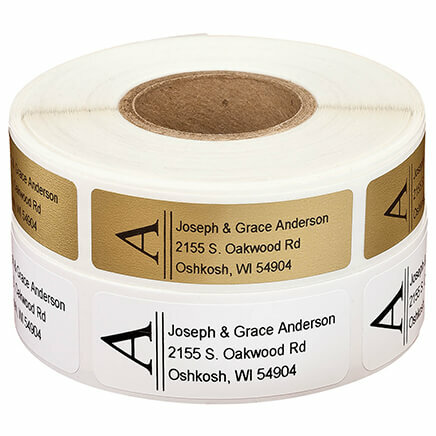 I have used these labels before and know they are good quality and easy to read. 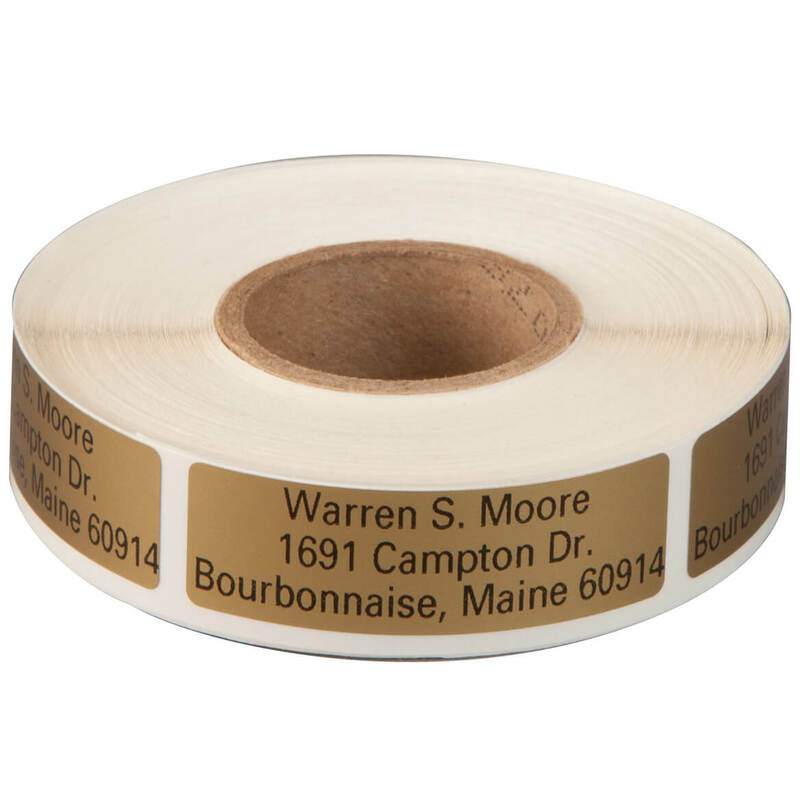 Return customer for this item, I have ordered these mailing labels several times before. Excellent Product/Item! This item was perfect for what I needed. Size, quantity, color. I only used 2 of the 3 lines offered, but worked out perfect. I chose both of the items I did because I use them daily. I wear a leather purse every day and I use an address label on items I mail. I am very happy with Miles Kimball. I always purchase these for bills, etc. and I'm always pleased with this purchase. 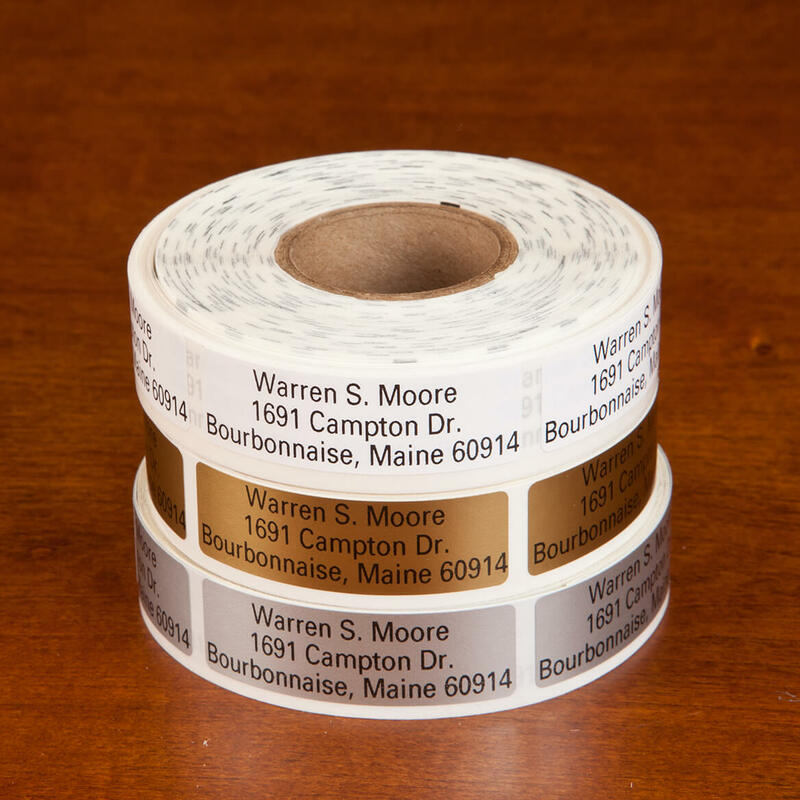 With 500 labels, they should last a lifetime. Always have used these needed to reorder. Great product! Simple and clean looking on any envelope. A great value! Easy to read. Very useful for several reasons. Go to festivals need to put name and address just take label. PLEASE SEND ORDER WITH DISPENSER. THANK YOU. 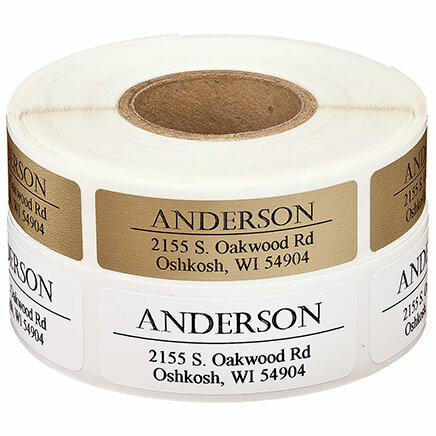 Do you have labels 2 inches long by 1 inch deep with 5 lines? BEST ANSWER: Thank you for your question. 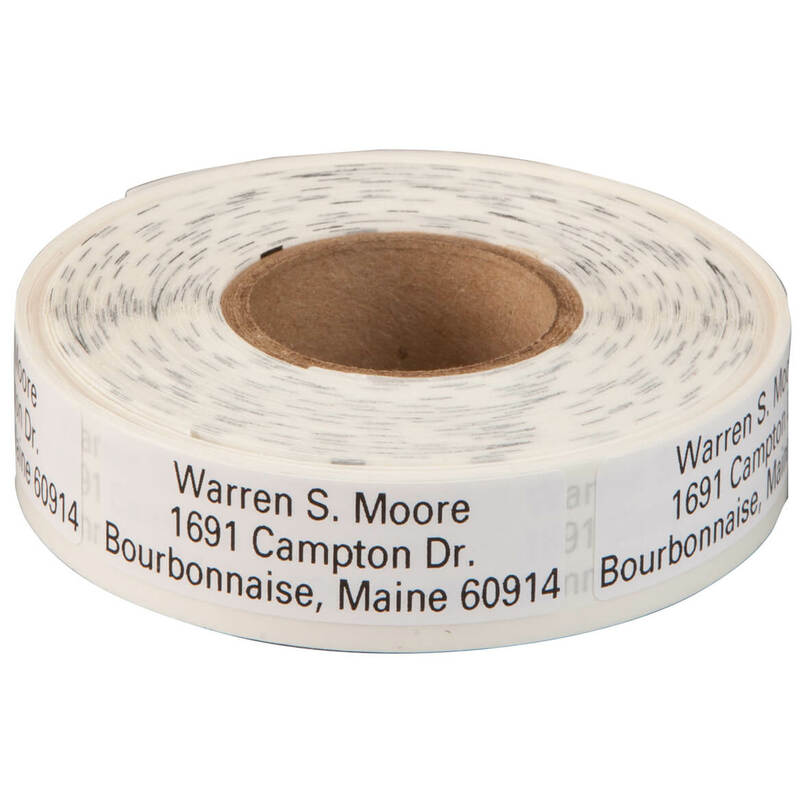 Unfortunately, we do not have any have labels that are 5 lines long and 2 inches by 1 inch. We hope this information will be of help to you. Can this be done it italic? BEST ANSWER: Thank you for your question. The personalization font can not be changed. We hope this information will be of help to you. I would not order italic,only block print.Easier on the eyes.And in my age group that is very important. Can I get blue font on silver label. And, can the first line be a size large in ALL CAPS with the rest of the address is in lower case. There are 5 rows to the address - is that ok? BEST ANSWER: Thank you for your question. The font color can not be changed and is only in black. The first line can be in all capital letters but will not be printed bigger than the rest of the lines. We hope this information will be of help to you.